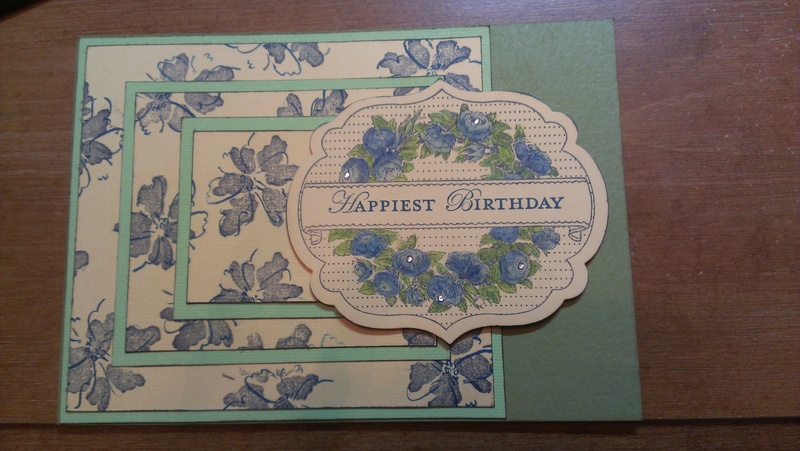 Today I am featuring a card by Sherry Rider of Westerville OH that took the Triple layer challenge and made a card. The card is not 100% made with Stampin Up products (normally that is our standard) but all the stamps were and because the card layout was unique that it deserves the spotlight on our blog. Great job Sherry. Keep the Triple Layer challenge alive and get your card posted on our blog. Today I woke up and noticed that it was darker than normal, which means that we are losing daylight so it is only appropriate that I post a fall card. Today’s card is Cammie’s answer to my Triple Layer challenge. 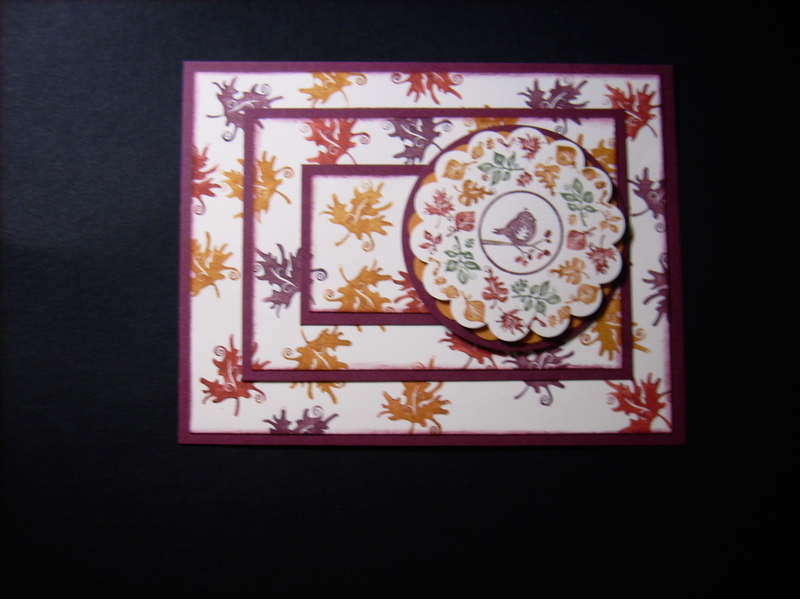 She used the Four Seasons Hostess set #126832 from the 2012-2013 Stampin Up catalog and the fall color pallete of bravo burgandy, elegant eggplant, cajun craze and more mustard. With the record heat that most of us have had in the US this summer, I am sure we are ready for cooler weather.